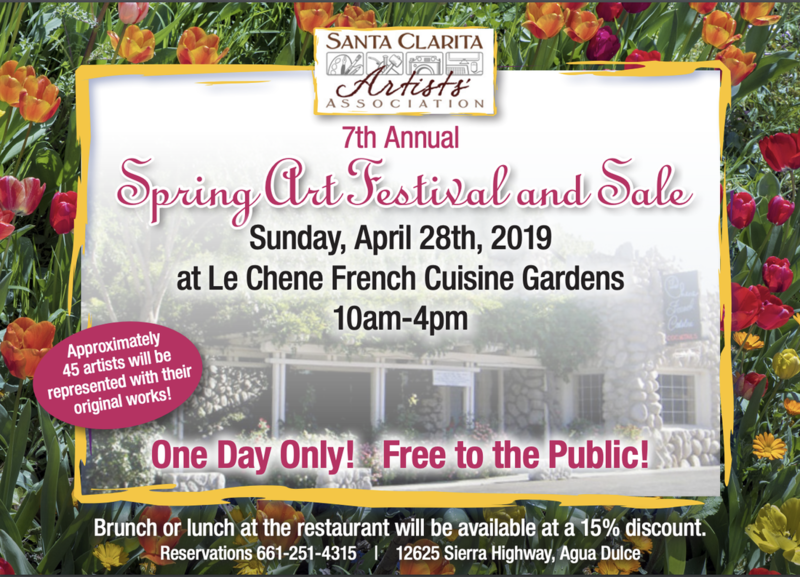 You are invited to the 7th Annual Spring Art Festival and Sale at Le Chêne French Cuisine Gardens, Sunday, April 28th , 10am-4pm, for one day only. 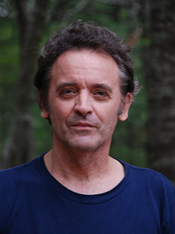 Forty-five artists, including this writer, will be represented. With warmer and drier weather on the way, the event is expected to be a smashing success. I’ll be there the whole day to greet guests so come keep me company, enjoy Sunday brunch, meet some people, and pursue your artistic curiosity. Le Chêne, or “The Oak” in French, located on Sierra Highway, is host for the show and has been a French cuisine fixture in the Santa Clarita Valley area for 30 years. With a prior business history going back to the early 1900s, film star Clark Gable is said to have frequented the bar with friends during his motorcycle years. The restaurant has been host to countless weddings, anniversaries, and other celebrations when only first class will do. While no prior registration for the show is required, a reservation for brunch is recommended (661-251-4315). Be sure to request your 15% art festival discount when settling your brunch bill. The Santa Clarita Artists’ Association (SCAA) comprises local artists of varying genres, meeting together monthly for demos by other artists. The SCAA also creates and manages events year round including hotels, hospitals, libraries, and other restaurants. Membership is a reasonable $50 per year. For more information about the SCAA and this show, visit the SCAA website or on Facebook. I stumbled onto a pretty cool website today. Thumbtack can broaden your exposure as a business. Thumbtack is a national service that can help people connect their service to each other in their own communities, a great asset for small business. Thumbtack services seem well categorized. For example, under General Contracting services there are some 37 sub-categories. Other main categories include Interior, Exterior, Lawn and Garden services for home, and even Wellness services. Thumbtack also supports teachers with Lessons — Academic, Recreational, and Occupational. Moreover, if you’re a small businessperson looking for an employee, you can post the job opportunity on Thumbtack. Other national Job boards will even pick up the post and display the opportunity. Worth checking it out. Thumbtack has been featured in the New York Times, The Atlantic, Fortune, Esquire, Tech Crunch, and CNN.